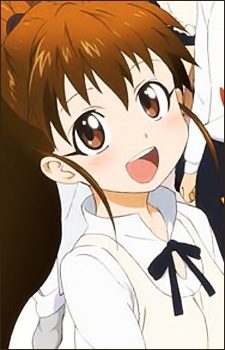 Popura is a short 17-year-old high school student who works at Wagnaria. Ironically, she was named after the poplar tree so that she would grow tall. She is a hard worker, but she sometimes makes clumsy mistakes in her job. She is very sensitive about her small appearance; many customers usually mistake her to be younger than she really is. She often fails to gain respect from Souta, who is one year younger than her, as he usually regards her as an elementary school student. She is also unable to properly call him by his surname, saying "Katanashi" rather than "Takanashi", even when corrected. Her official name is Popura, please do not change it.